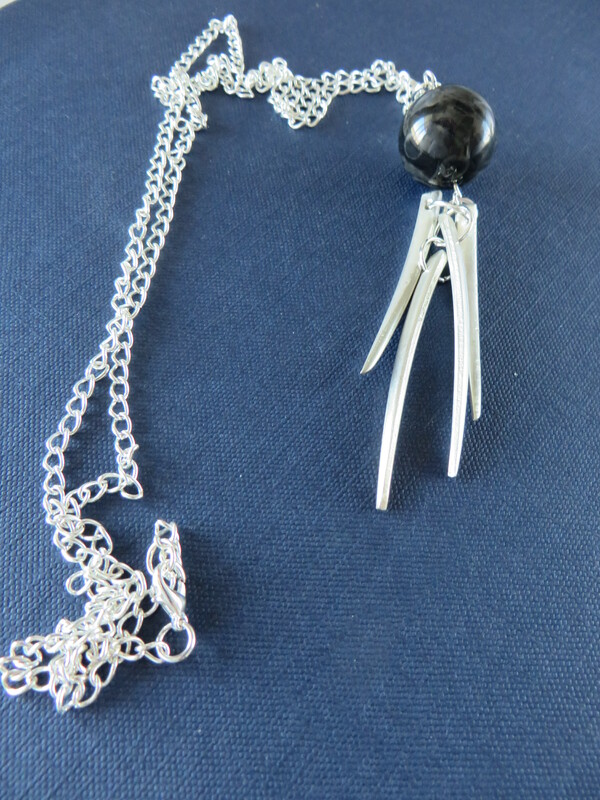 Really cool pendant and a conversation piece! 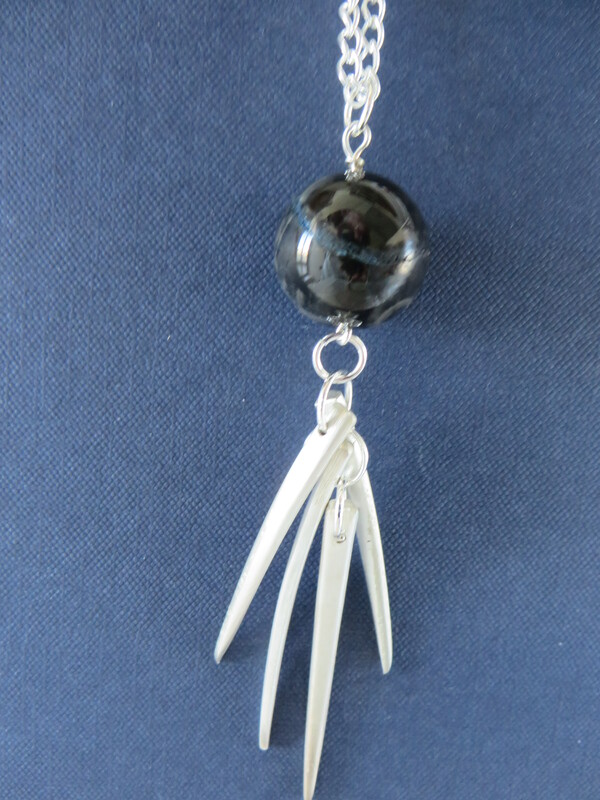 This pendant is made from an antique silver plated dinner fork. The tines have been cut, polished and drilled. 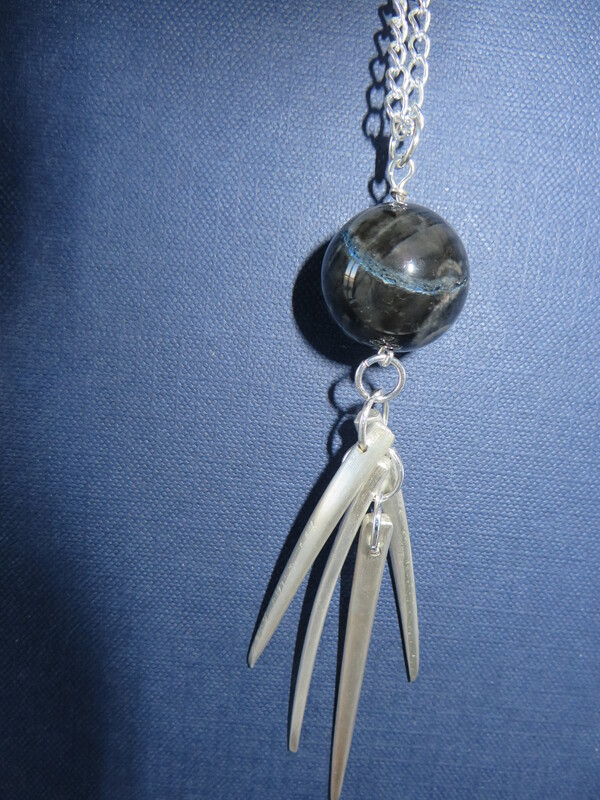 A beautiful black round glass bead has a hint of grey in the bead. 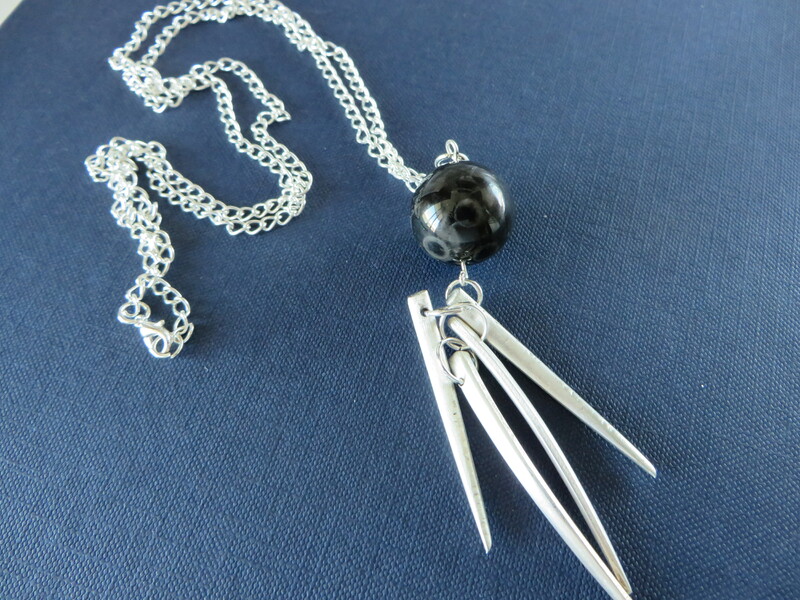 The pendant necklace measures 29 inches in length and with the bead and tines they add 4 more inches. 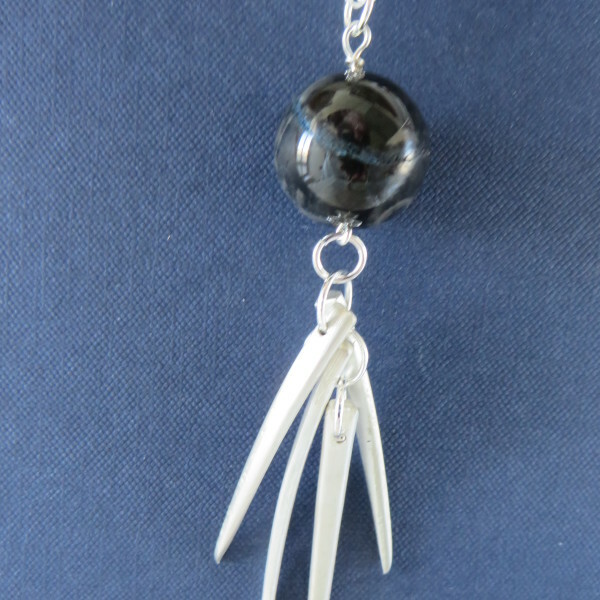 Creative takes on a new level of elegance with this piece!